RF Detectors - Talley Inc. The MA25100A can withstand RF power levels up to +50 dBm (100 W) from a 50 U source. 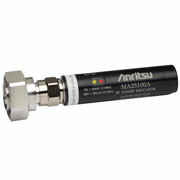 The MA25100A has a very high VSWR and should not be used as a 50 U termination.